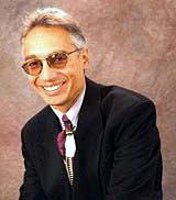 José Aponte, Executive Director of the Pikes Peak Library District, has been selected as the 2004 Trejo Librarian of the Year Award by REFORMA, a national affiliate of the American Library Association that promotes library and information services to Latinos and the Spanish-speaking community. Each year REFORMA recognizes a colleague who has made exemplary contributions to the library profession in service to the Latino community. Read an article on José Aponte published in the Colorado Springs Independent on July 15th, 2004.